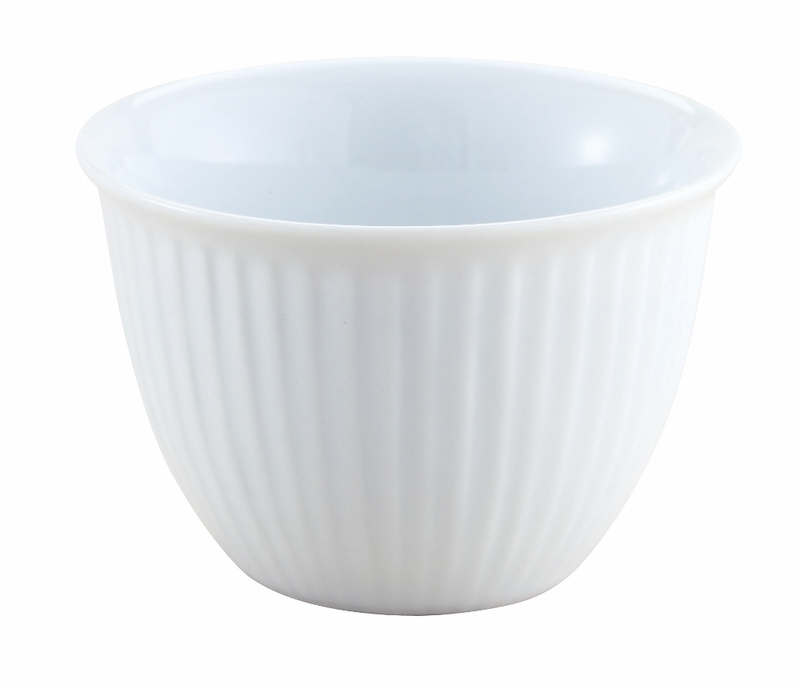 Porcelain Ribbed Custard Cup 5 oz. Home > BAKEWARE > PORCELAIN > QUICHE & CRÈME BRULEE > Porcelain Ribbed Custard Cup 5 oz. Porcelain Ribbed Custard Cup 5 oz., oven, broiler, microwave, freezer, dishwasher safe.